Many obstetricians believe a vaginal breech birth is a high risk birth. Many know it is safe but don’t feel comfortable doing it themselves. Some OBs do them, and a handful won’t even suggest a cesarean, especially if you have had a previous vaginal birth and have a frank breech. Midwives in the US vary almost as much and as widely, though there are many more CPMs (Certified Professional Midwives) and some CNMs (Certified Nurse Midwives) than obstetricians who routinely do breech births. Cesarean birth: Most obstetricians order a c-section for a breech baby because they are untrained in vaginal breech delivery or birth and it is considered too risky by the establishment (hospital, insurance, community, etc). Many midwives in the US will not attend vaginal breech for the same reasons. According to some, cesarean is more risky for the mother but safer for the breech baby, though cesarean breech birth is more risky than cesarean vertex birth (head-down baby). If you do not want to have a natural birth or are unable to find a competent provider for one, it is generally regarded as safer to have a c-section with an experienced surgeon than a natural delivery with a frightened, un-trained attendant of any kind. 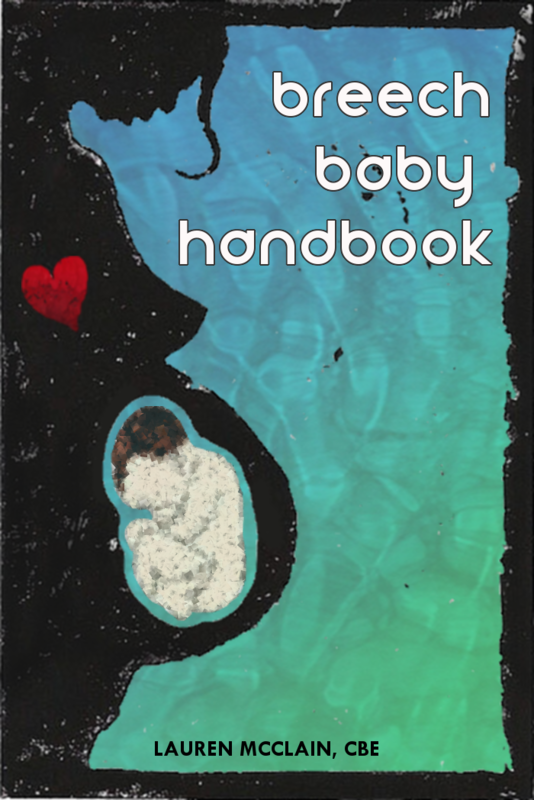 Learn more about the research and practice of cesarean for breech babies in the Breech Baby Handbook. Many people and doctors still believe cesarean to be the safest option for breech babies. There are more complications likely with an after coming head; that is just the way of it. Luckily for women who have cesarean surgery, it is the most commonly performed operation in the country. Though most everyone agrees the cesarean rate is out of control in the US, if you do need one, that is in your favor. Your doctor has probably done a great many of them, and it is old hat for everyone involved. It seems safe to assume fewer human errors would occur than a more uncommon surgery. If you decide to have a cesarean or for any reason need to have one, there are some things you can do to make it easier, better, and safer. You should almost certainly wait until labor starts to get your section. Ask for a video recording of the operation. At the very least, find a surgeon who doesn’t seem to be super restrictive about who is in there. Marty Makary, MD and general surgeon at Johns Hopkins said, “Research indicates that doctors perform better when they know they’re being observed. The more accountability, the greater the quality of care. You should absolutely find a surgeon who’s open to having a procedure filmed. I mean, what’s to hide?” If you want your mom and your partner in there, they should be. On that note, if they ask you to be separated from your partner when you go into the OR, it is almost certainly in order to administer anesthesia without a witness. They cannot legally force your partner to leave you. If you care, talk about it ahead of time and insist that you not be separated. Ask your doctor if you can have a vaginal delivery with your next baby. Even if you don’t intend to have another baby, or the idea of vbac makes you nervous, you can gauge the doctor’s friendliness to woman-centered care by his or her response. A doctor who performs a cesarean with the intent of leaving the woman ready for another pregnancy or birth will do it more carefully. Find a doctor who will stitch your uterus in two layers. This is how it was done for many years until a time-saving single layer stitching technique came on the scene. Some say that this single layer stitching makes uterine rupture more likely in subsequent pregnancies. Again, regardless of whether you want another baby or not, this is a wise move. I really recommend that you insist on having one arm free so that you can touch your baby after s/he is born. I personally found it very sad and demoralizing that even after my baby was all checked out and bundled, all Daddio could do was sort of put her face next to mine. I learned later that it could have been very different. Where surgery is concerned you think you don’t have these choices because it is all very controlled and delicate, but it’s just not the case. Doctors all over are doing gentle cesareans where the mother is part of the birth. You just have to know to ask, and then maybe fight a little for it. Watch the video below. Think about what elements of a natural birth you would like to recreate. They are likely possible. 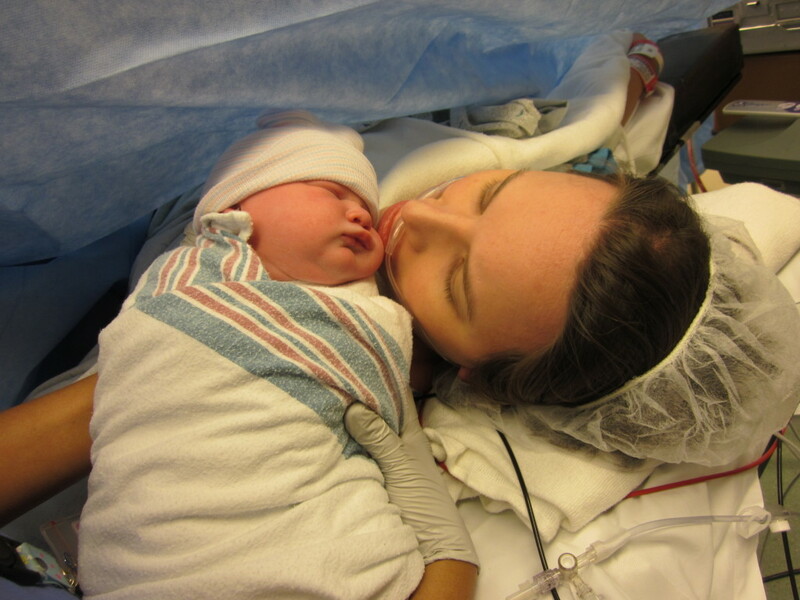 Though I am definitely biased toward natural birth, a cesarean can be every bit as magical. Especially when you know you are doing it for the good of your baby. Consider asking (and fighting) for more things that are for the good of your baby. Delayed cord clamping, immediate skin-to-skin contact, no separation from baby (all checks can be done on mom’s chest if baby is vigorous or crying), discovering the gender of your baby yourself, etc. are all replicable with a gentle doctor. See the section below for more about these things. Here is a wonderful article about a slow and gentle cesarean birth. If you may have a cesarean, read it! 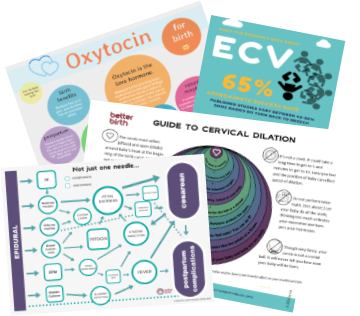 Gentlebirth.org maintains archives of information about birth. Here is a page with links and information people have provided (mostly birth workers) about ways to make cesarean more human. Consider writing a birth plan. It is still your birth. Here are some resources that might help.